Less than 24 hrs No refund Cancellation - Will be made. 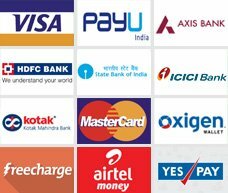 After cancellation of booking amount will be credited to customer account Via payment gateway within next 3 working days. If find any issues, we will directly contact the customer or customer can also contact us via phone and email.